Home » Arriving at Toronto Pearson Airport or Billy Bishop Airport. Arriving at Toronto Pearson Airport or Billy Bishop Airport. Arriving At Toronto Pearson Airport or Billy Bishop Airport from an International destination or from within Canada, Let us take care of your ground transportation just as you arrive in Toronto. You can prebook your Toronto Airport Limo with Airport Limo Link and travel to your destination Stress free. This page contains information about Arriving in Toronto, Canada customs (If you are arriving from an International Destination) and pickup procedures with different options. Just as you plan to visit Toronto and you are in need of Ground Transportation from Toronto Airport to any destination in south western Ontario look no further and give Airport Limo Link a call at 416 907 4890 to prebook your Toronto Airport Limo. You have an option of booking your Limo online by filling our online reservation form or writing us an email airportlimolinkcanada@gmail.com with your travel plan details. Our reservation agents will help you through simple procedures of making a reservation right away and book your Limo or sedan service from Toronto Airport to the destination of your choice. This page has a 5 minute Video for international travelers arriving in Canada. This video contains important information about arrivals in Canada. This Video is provided by Canada Border Service Agency (CBSA) and helps travelers to know the regulations of Canada Customs and Immigration. When You Arrive at Toronto Pearson Airport you just need to follow a simple pickup procedure to get to your prearranged Limo service booked with Airport Limo Link. Clear Customs, pickup your checked in bags if any and walk through the arrival hall, Just as you step out of the arrival hall and come out to the terminal’s public area you will see the doors with alphabets. You need to look for Door A. Just as soon as you step out of door A you will see a prearranged Limousine booth. Walk to the booth and inform the commissioner that you are pre booked with Airport Limo Link. The officer will then page your driver informing him your arrival at the door. You Limo will be released from the holding area and the Airport Limo will arrive at door B in about 2 minutes. If you have trouble finding the Limo booth or you need any assistance upon arrival, please feel free to call us at 416 907 4890 and we will walk you through the pickup procedure. Clear Customs, pickup your checked in bags if any and walk through the arrival hall, Just as you step out of the arrival hall and come out to the terminal’s public area. Now you need to head to POST 29 which is located outside the terminal on the inner curb. 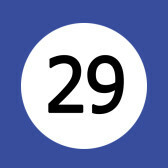 When you get to post 29 you will see a prearranged Limousine booth. Walk to the booth and inform the commissioner that you are pre booked with Airport Limo Link. The officer will then page your driver informing him your arrival at the door. You Limo will be released from the holding area and the Airport Limo will arrive at Post 29 in about 2 minutes. If you have trouble finding the Limo booth or you need any assistance upon arrival, please feel free to call us at 416 907 4890 and we will walk you through the pickup procedure. We at Airport Limo Link offer Meet and Greet Service at Toronto Pearson Airport.. If you are arriving at Toronto Airport for the first time or you are booking a Limo service for your guest or clients you can opt for this service. Our professional greeters wait for the passengers with the Name Sign at the arrival doors in the main terminal. After greeting the passengers they handle your luggage and walk you to your prearranged Airport Limo. The cost of Meet and Greet Service at Toronto Pearson Airport is $ 45.00. Since the departure and arrival terminal of Billy Bishop Airport is on an island, you need to take a ferry from the Island Airport to the Main Land. When you arrive at the main land you will see your chauffeur waiting for you with your name sign. From there he or she will walk you to the Limo parking lot and you will be on your way to your destination in your pre booked Billy Bishop Airport Limo service booked with Airport Limo Link. If you need any assistance at the Airport or need help to locate your driver, feel free to give us a call 416 907 489 0and we will walk you through the arrivals procedure. Meet and Greet Service at Billy Bishop Airport is offered FREE of cost by Airport Limo Link.